It must be nice to be a child of royalty especially when daddy is a Democrat devoid of inhibitions and prone to breaking the law. In 2013, Joe Biden took his son to China with him and two weeks later China cuts him and Chris Heinz, stepson of John Kerry in on a 1.5 billion dollar deal. Hunter Biden and Chris Heinz were cut into the deal partnering with the Chinese bank and merging with Biden’s Rosemont Seneca Partners. The new entity known as Rosemont Seneca Bohai, was a yuge deal for Biden. At the time of the deal Biden was VP and Kerry was Secretary of State. Recognizing, as I’m sure we all do, that every speech Barack Obama has ever given is a work of oratory genius and each monologue is more memorable than the last, I ask that you think back to his final State of the Union speech. I’m not making light of this statement, and certainly not of Biden, for he lost his son Beau Biden to brain cancer in May of 2015. Obama continued by saying that, “last month he [Biden] worked with Congress to give scientists at the National Institutes of Health, the strongest resources they’ve had in over a decade.” He received a standing ovation from virtually ever member in the chamber. How is it that people – supposed political experts – can’t figure out why Joe Biden isn’t running? On the radio yesterday, Sean Hannity opened his show with utter astonishment over the announcement by crazy Uncle Joe that he would not be running for president. Sean said he couldn’t understand what the last several days were all about. What was all the build up for Biden’s announcement all about, if he was just going to declare he wasn’t running? And he’s not the only one. CNN was on the TV in the locker at the gym yesterday, and the host of whatever the show was also surprised by the news. This, in my opinion, was how it was always going to go. Biden was only going to get into the presidential race if the Obama administration was prepared to indict Hillary over either Benghazi or her email server scandal, or both – although probably never over Benghazi. Obama could possibly be dragged into that one. Hannity said he was also confused to hear Trey Gowdy seemingly back off of his strong position regarding questioning Hillary at the upcoming Benghazi hearings that begin this morning. Pundits think it may be the undermining comments of House Majority Leader Kevin “sour grapes” McCarthy’s that the hearings are more about Hillary’s election bid than anything else. Could There Be a Biden – Warren Ticket? This would be troubling news for Obama if he were seeking a third term, which of course he’s not. But it could be a serious liability for Vice President Joseph Biden, Obama’s leading cheerleader and policy advocate, if Biden decides to make a late entry into the presidential campaign this fall. After months of private deliberations and consultation with his family, Democratic party activists and potential campaign donors, the 72-year-old Biden is now “increasingly leaning” towards challenging former Secretary of State Hillary Clinton for their party’s presidential nomination, according to The Wall Street Journal. The “Hawks” have aligned and are ready for war. All the administration heavy hitters have come out swinging. Throughout the halls of the White House and Congress there is a “Call to Action”. Isn’t it great that progressives always want “action”, although it must be the correct action, as defined by them and must be action by those approved to act, also defined by them. Yet less than a decade ago the Bush administration was warning us of Syria’s Assad. Strangely though, there was no “Call to Action”. The exact opposite, in fact. Many of the same “Hawks” of today were “doves” not too long ago. My how things have changed, eh? At the start of the Vice Presidential debate, I thought Joe Bidens strategy might be a winner, but his condescension soon started to grate on me. The constant interruption of Paul Ryan was deplorable. 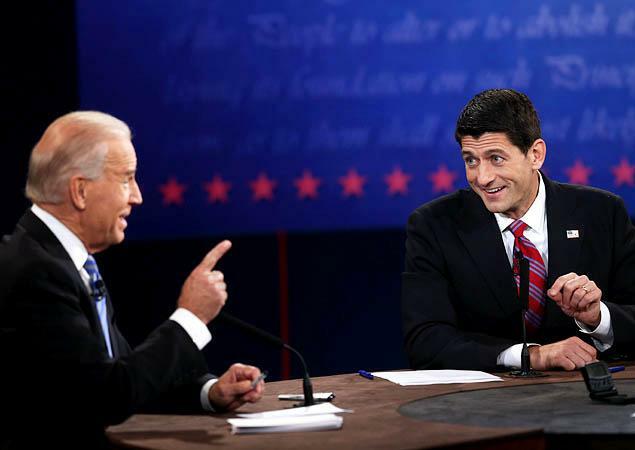 In fact, Biden interrupted Ryan 82 times during the 40 minutes Ryan was able to speak. That’s an interruption approximately every 30 seconds. Way to do your job Martha. As Rush says, the Joe Biden you saw last night, was the real Joe Biden and the real modern-day democrat party. Mean, arrogant and patronizing. I don’t know how Ryan felt, but I was worn out, watching Old Uncle Joe (not Stalin; Biden) cackling, grinning, wagging his finger and lecturing me. I always thought the media, and the left in general, were disgusted by angry old white men. Yet, watching and listening to the main stream and lefty cable shows, post-debate, one would think the democrats were, in fact, the party of angry old white guys. When discussing Iran’s nuclear capabilities, Ryan repeatedly stressed that they (Iran) had four additional years to develop fissionable materials and thus develop a nuclear weapon. Well, that sure is good news Joe. And, of course, they’ll never find anyone willing to sell them one. Really Joe; you’ll know? Just like you knew that the Benghazi attack was terrorism and not due to a video? How Joe, will you find out they have a weapon? Will you receive that information from your intelligence community? You know, the one you threw under the bus, when you said they gave you the wrong info regarding Benghazi, and were unable to get you the correct intelligence for a two solid weeks. Is that where you will get the information regarding Iran’s bomb? I’m not in the intelligence community, but even I could let this administration know two weeks after Iran gets a nuclear weapon. It will be fairly evidently from the giant crater and nuclear fallout that was Israel. Also, I would add that terrorists don’t need missiles. All they need are suitcases or backpacks and several brainwashed idiots willing to blow themselves for Allah. As for the rest of the debate, it was more of the same; Old Joe, smiling, cackling and lying about all of the administrations domestic positions. In between, was Joe’s constant attempt at belittling Paul Ryan. 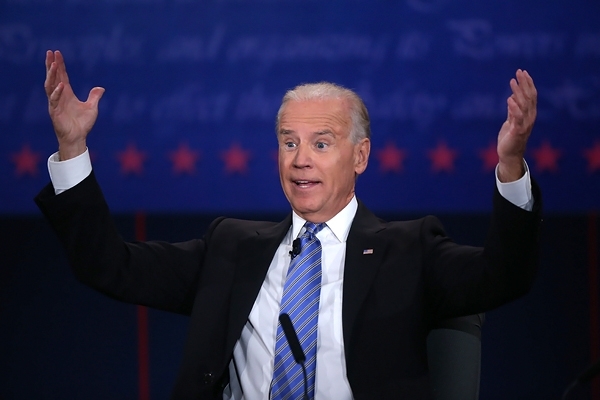 By the close of the debate it was clear that Biden looked the village idiot. One of the barometers of how well Old Joe did is how much time the mainstream media will continue to spend on breaking the debate down. If he pulled off a clear and concise victory, the press will be discussing his brilliance up until the second the second presidential debate begins next week. But the AP (Associated Press) , which, for all intent and purpose, is the media arm of the White House, is already speaking of the next Presidential debate. That debate is still a week away. That tells me they don’t want to discuss Old Joe’s performance. Evidently, the sooner they can put it behind them, the better. 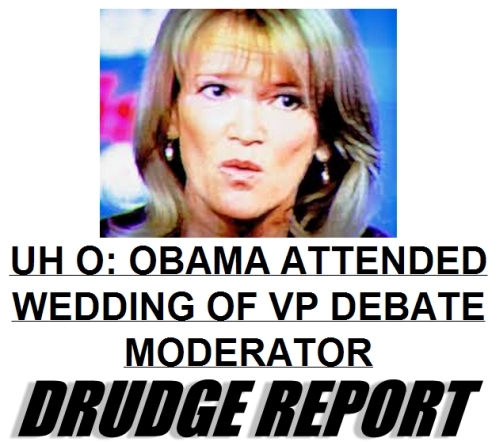 Reports have also surfaced that the debate “Moderator” Martha Raddatz actually visited Old Uncle Joe Biden in the White House sometime prior to the debate. I’m sure it was to just stop by and say howdy and not to discuss the questions she would ask during the debate. As it turns out Martha did Paul Ryan a huge favor by siding with Old Joe. Martha unwittingly preformed a valuable service to the viewing public by allowing all to see Old Uncle Joe, as he really is, an angry, insipid and shrill liberal. The old saying is, if someone insists on making a fool of themselves, just get out their way and let them. Ryan, I thought, may have been a little too polite for my taste, but it worked for him. 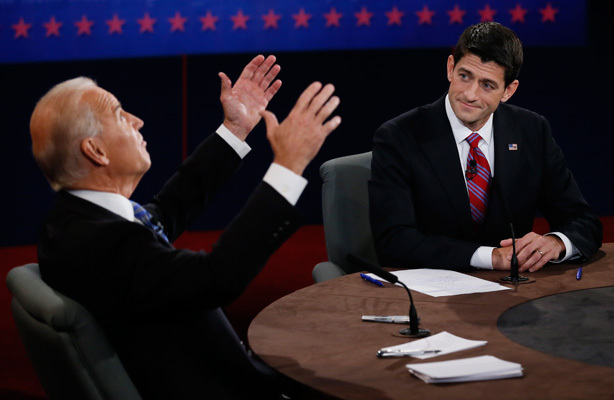 The consensus opinion is that Paul Ryan won and Joe Biden surely lost, both the debate and his mind.